The Bahraini regime has continued its escalation and crackdown on peaceful protesters. A number of activists, journalists and peaceful protesters were arrested today. Many more were beaten, tortured and shot at with tear gas, shotguns and stun grenades. Another death was reported of inhalation of tear gas. Journalist Nazeeha Saeed, torture victim, stated in her twitter account that “torturer office Sara Al Moosa is on duty in BIC protecting the race”. Concerns raised over the wellbeing of the arrested women who were taken to the same police station where Naziha and several other detainees have previously reported being tortured, Riffa police station . When the families tried to see their daughters they were pushed out of the police station. Heavy security measures including security checkpoints, armored vehicles were deployed at areas surrounding the Pearl Square as calls for a march back towards the square emerged early today. There were many protests heading to the former pearl roundabout (AKA Lulu), which has become a symbol of freedom and democracy to Bahrainis. All the protests were all violently attacked with teargas, shotgun and stun grenade. Activists and blogger Zainab Al Khawaja, (@angryarabiya) was arrested again on night of 21 April 2012 after she staged a single woman protest by sitting peacefully in the middle of the road protesting against the continued detention of her father who is possibly on his death bed, after being on hunger strike for over 70 days with no compassionate reaction from the authorities in Bahrain. Zainab refused to go to the public prosecution today and she is currently being held in jail. Her sister Maryam Al Khawaja, head of foreign affairs in BCHR, said “I can guess it's because nobody really believes in the legal system. Zainab's mentality is you can only bring about the fall of the regime when you stop treating it as a government." BCHR reported yesterday the details of the arrest of blogger & youth activist Mohammed Hasan, who was released last night after being beaten. Today, Mohammed was rearrested in a checkpoint in Sanabis with journalist Colin Freeman from The Sunday Telegraph. Colin is an accredited journalist allowed to work in Bahrain. They were taken to the Exhibition center police station. Mohammed was interrogated about his connection to the journalist and later released without any charges. Activists Dr. Alaa Shehabi and Ali Al Aali were with a group of journalists from Channel 4 News on Budaiya road near Naqsh coffee shop in their car. They were chased by 11 riot police vehicles until forced to stop and were arrested. Ali said on his twitter account “we are being insulted/ humiliated”. Dr. Alaa is an economist, lecturer, writer, activist, head of researches of BRAVO human rights organization and a co-founder of Bahrain Watch. She has been very vocal about her political views in interviews with different TV channels and newspapers. 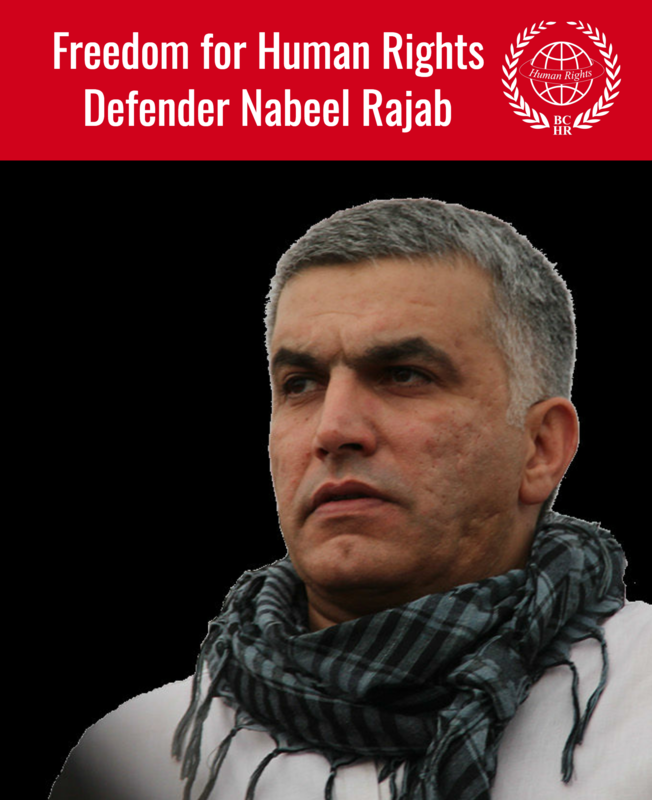 Dr. Alaa was on the same panel with Nabeel Rajab, president of BCHR, in a press conference about detained and tortured Athletes in Bahrain just a couple of days ago. She has also written articles against the Bahraini regime in numerous foreign newspapers. Dr. Alaa and her husband, a former political detainee, met Bernie Ecclestone in their visit to London where he told them that the people of Bahrain can hold protests in the circuit and that he “want(s) the opposition to have a press conference in which opposition can get their message across and for open dialogue”. Not only was there no press conference but freedom of expression was targeted in every possible manner due of F1. Like many other news agencies, Channel 4 News was denied journalist visas and has been working without accreditation during the Grand Prix. Yesterday, another reporter, Rasmus Tantholdt from Danish TV2 channel was denied entry to Bahrain at the airport for the second time in 24hrs. He was in Bahrain 2 weeks ago and did some coverage for the channel on the protest for the hunger strike human rights defender Abdulhadi AlKhawaja. Also, two Japanese journalists working for Asahi Newspaper were arrested in Sanabis village and taken to Exhibition police station, where they they are still detained. Mazen Mahdi, a photojournalist with German news agency EPA , was stopped today by riot police while covering protests in Belad Al Qadeem village. He was then threatened by police that they would break his camera. He said: “Threat made by what appears to be an officer masking his face and rank!”. As the Formula1 race is over, it seems that the Bahraini authorities are again trying to enforce a media blackout in place by targeting journalists and those who facilitate their work in Bahrain. The most peaceful assemblies continue to be targeted. Bahrain center for human rights strongly condemn the government’s fierce crackdown on whoever exercises freedom of expression and peaceful assembly and the attack on journalists and activists for exposing the crimes committed in Bahrain by the authorities. 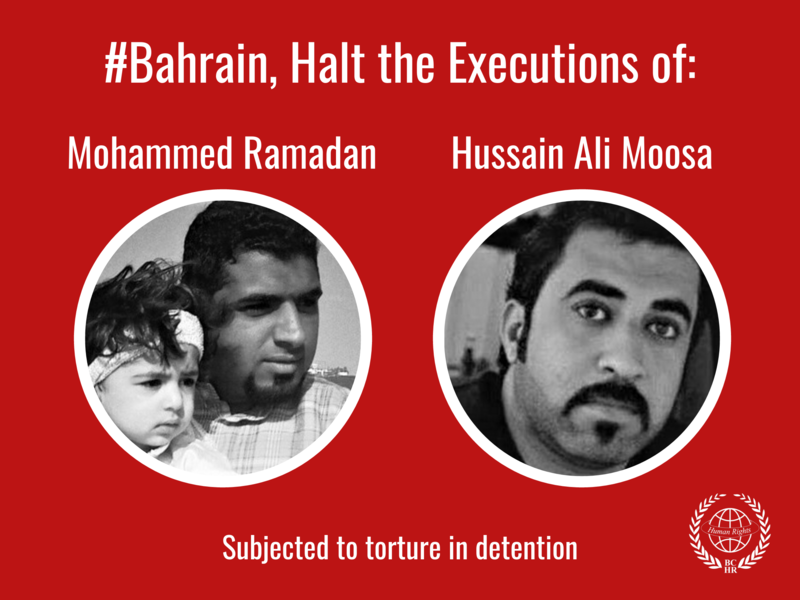 We immediately demand the release of all detained activists, protesters and journalists, putting an end for the use of violence against peaceful protesters and allowing Bahrainis their right to freedom of expression and peaceful assembly.